Will Obama Destroy Any Hope of U.S. Energy Independence? 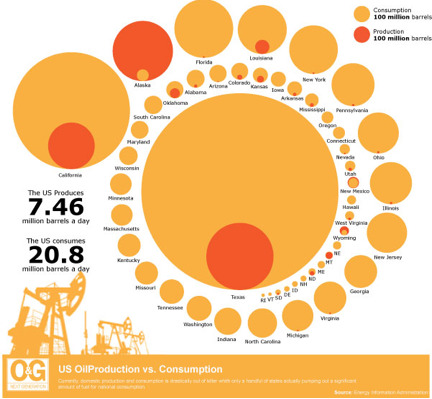 The U.S. consumes nearly three times the amount of oil that it produces domestically on a daily basis. How can this statistic get any worse, you might ask? Imagine in 2010 the Obama administration persuades Congress to pass a budget that results in a reduction of domestic oil production by 10% - 20%, making the supply/demand imbalance even more lopsided. Foreign oil companies will gain a distinct advantage over American domestic operators as an unintended consequence of these proposals. Sound farfetched? It's closer to reality than you may think… If it comes to pass, it will likely be the biggest structural change in the U.S. domestic oil and gas industry in decades and have far-reaching implications for investors and for the entire country. In early 2009, the Obama administration proposed to eliminate significant tax incentives for the oil and gas industry. These tax benefits were put in place decades ago to incentivize oil and gas producers to develop domestic sources of energy, while recognizing that oil and gas exploration entailed special risks. Two of the proposed repeals with the most potential impact relate to what the industry refers to as “percentage depletion” as well as “intangible drilling costs” (IDC). The first proposal involves eliminating the deduction for percentage depletion. Currently, the tax code allows small oil and gas producers to choose between two different tax deductions, percentage depletion or cost depletion (Big Oil’s ability to use percentage depletion was severely limited years ago). Percentage depletion allows a tax deduction of 15% of the annual gross revenue of a well, continuing as long as the well produces and even after 100% of the costs have been recovered. On the other hand, cost depletion is calculated as the amount of oil or gas produced annually as a percentage of the total reserves of the reservoir. This deduction ceases when 100% of costs have been recovered (after which the producer may switch to percentage depletion). From a practical standpoint, this means many small stakeholders, including investors and lessors who are not directly involved in the operations of the wells, will lose their ability to deduct depletion altogether, putting them at a significant disadvantage to their larger competitors. And cost depletion is pretty much out of the question for most small stakeholders, as it’s extremely difficult for them to calculate. Small stakeholders in wells often aren’t entitled to the proprietary reservoir data developed by the operator of the well, which is necessary to calculate cost depletion. While the operators do disclose reservoir data in their annual reports, they rarely contain enough detail for a small stakeholder to locate information relating to a small field or well in which the stakeholder has an interest. Oil and gas stakeholders – such as individual royalty owners, royalty trust investors, and landowners, who all benefit from leasing land to oil and gas explorers – will immediately see the value of their investment decrease while simultaneously paying more in taxes every year. The other proposal relates to drilling costs. Under current rules, oil and gas producers can elect to deduct certain intangible costs related to the drilling and workover of wells, including labor, drilling fluids, and drilling rig time. By electing to deduct instead of capitalizing and amortizing expenses, explorers recoup their costs faster. If the Obama administration does away with intangible drilling costs, oil and gas producers will no longer be incentivized to reinvest in new drilling projects, and new exploration will decline. Small oil and gas producers will also rethink their decisions to pursue riskier prospects if drilling incentives are reduced. The only projects that will be worthwhile to undertake will be the “sure win deals.” And if they do decide to drill, they won’t recoup their costs as quickly, which means they’ll be slower to start new projects. Without the tax incentives, marginal producing wells, which might otherwise be reworked and continue to produce for years, will be more likely to be plugged and abandoned. So what if marginal wells are no longer subsidized? Taxpayers shouldn’t be supporting bad assets and small oil and gas companies that operate them. That’s a fair point. But it’s significant to note that 85% of the total oil wells in the U.S. are marginal producers, and these wells account for approximately 10% of total oil production from the lower 48 states. For natural gas, marginal wells produce nearly 9% of the total. And it’s not just small companies operating these wells. These subsidies are deeply embedded in the economics of the U.S. independent oil and gas industry. Cutting the tax incentives will drastically change the industry. The chairman of the Independent Petroleum Association of America thinks these proposals will cost independent oil and gas producers over $30 billion. Back in May 2009, when it came time to include the president’s proposals limiting oil and gas tax incentives in the FY2010 budget, cooler heads prevailed in Congress and the proposals were not enacted. However, you can bet that similar policies affecting the industry will be enacted sooner rather than later. All independent, non-integrated U.S. explorers and producers will be affected if these proposals become a reality. At first, profits of oil and gas producers across the board will decline precipitously, impacting companies’ bottom lines and hammering investor returns. Producers that primarily operate marginal wells will be forced to plug and abandon newly uneconomical wells as a result of the policy changes. Without cash flow to support high fixed costs and precarious balances sheets, these companies will quickly become distressed. Next, oil services companies will suffer as their small and medium-sized customer bases shrivel up. Regardless of size, all exploration and production companies with significant exposure to U.S. oil and gas assets will get hurt. It’s also almost guaranteed the market will overreact and punish any U.S. company that has anything to do with oil and gas, whether or not it’s fundamentally justified. However, once the initial panic subsides, expect to find some screaming bargains among the surviving companies. Oil and gas companies with conservative balance sheets, diversified assets outside of the U.S., spare cash, and opportunistic management will have a heyday picking up quality assets at fire sale prices. The trick is to identify the companies that will survive the turmoil and be able to capitalize on their competitors’ misfortune. Initially these strong companies will suffer stock declines along with every other oil and gas company. But they will recover quickly, and as they acquire new assets at attractive prices, their growth and profitability will be better than before. The window of opportunity to get into these stocks at bargain prices will be brief, as the market will quickly correct and the value will disappear. Big Oil identified the United States as a hostile political environment years ago and has moved most of its production overseas, so they’re less likely to be negatively affected by these changes. However, bargain prices will be too tempting for these giants to stay on the sidelines. They’ll wade into the fray in a big way, picking up great assets even though it means they’ll be subjected to the stifling regulatory environment that comes with doing business in America. Energy prices across the board will explode upwards and stay high until the production void left by oil and gas can be replaced by renewable energies, nuclear, or coal. The coming energy crisis will present you with plenty of opportunities to profit if your portfolio is correctly positioned. Picking the best of the best oil and gas explorers is the forte of Marin Katusa and his team at Casey’s Energy Report. Thanks to due diligence, a secret mathematical formula, and a vast network of industry insiders, every single one of Marin’s most recent 19 stock picks was a winner… and number 20 is in the making. Click here to learn more.